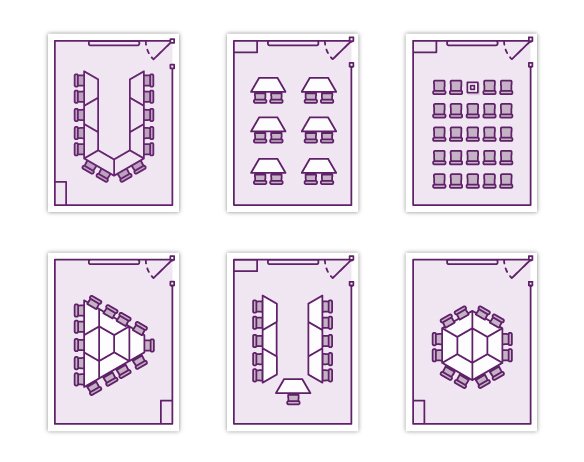 Permanent meeting room space is often used only occasionally and is a luxury that many companies simply can’t afford. access to communal breakout areas. Our reception staff are on hand to deal with all your visitors’ needs – from booking taxis to photocopying. Our reception is open from 08.30am to 17.30pm each day and our in house café – Joules – will deliver refreshments on request. Suitable for a maximum of 12 people. Ideal for presentations and training courses for up to 24 people, our Training Room has recently been updated with an integrated wireless projector and modular furniture so that it can be adapted to suit most scenarios, as shown below. Bookings can be made emailing reception@kinetic-centre.co.uk or calling reception on 020 8387 4041.